I sympathize with this week’s question. Sometimes those that care about you end up becoming a huge impedance on your ability to study effectively. I’ve been trying to implement a short study routine but my parents don’t seem to get it. They insist that I study at least an hour a night. From some of the things you write, I get the impression that will do more harm than good. What can I do to get them off my back? 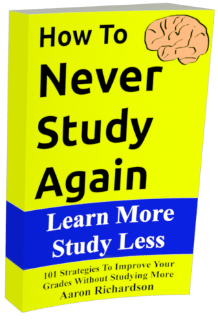 The study strategies recommended on this blog tend to not gel too well with the traditional approach to studying. It’s completely understandable that some people won’t understand their value. (I wouldn’t believe some of these strategies if I didn’t experience the effects myself.) One of the most controversial is the value of super short study sessions. 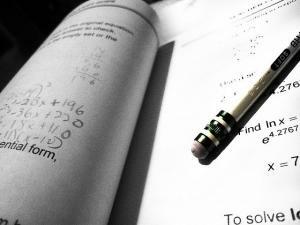 Studying for an hour a night would likely hurt the efficiency of your studying. Lower efficiency doesn’t mean you won’t learn more studying longer though. In this situation, it may be worth considering just giving in and studying longer. Sometimes solving a problem like this is more trouble than it’s worth. That being said, there are some simple ways to do what they say while still increasing your efficiency dramatically. If possible, turn that one hour of studying they want into 2 or 3 study sessions each night. One of the reasons short study sessions are so valuable is that you’re getting as much high efficiency studying as possible. The longer you’re studying without a break, the less you’ll be learning with your time. When you break your hour of studying into multiple sessions you get breaks in between short sessions of studying. With the break you can expect to return to high efficiency studying for your next short session. I’m not going to recommend lying to solve this problem but I’m sure you already know it’s an option. You could sit for an hour as if you’re studying but only actually study 15 minutes. You could study away from home and do the same thing. There are tons of ways to lie your way around these restrictions. Most of the time, it’s just not worth it. There will always be limiting factors in your ability to study at a high efficiency. In high school, that limiting factor may be your parents. In college it may be your roommate. If you get a job and want to do a little studying then you’ll still have tons of interruptions from your studying. It’s a part of life. There is no way to get your study routine into a perfectly efficient position. (In fact, accepting that there is a perfectly efficient position is a mistake. There is always a better way.) Just do the best you can to get it as close as you can get it comfortably. If your parents insist on an hour of studying then it’s usually easiest just to give in and do it. If you do it right then it would barely hurt anything academically. In fact, adjust your strategy right and it might just help. I think the multiple sessions idea is the one. That’s what’s needed. It’s a compromise between a smart study routine and the rule. Grow a pair… ? Sorry… I said it that way for shock value but I have a real point. You can’t worry about what anyone else thinks of you. It will drive you crazy and you’ll always have something to be disappointed about. Let them moan and whine. I don’t expect they’ll chain you down to your desk. Even if they did you could just spite them and not study a second. That’s just my thought though.